And more to come, we can be sure. 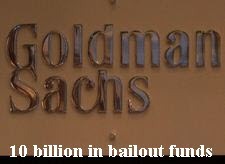 The slide show Goldman used to pitch Abacus is pretty damning. It starts with so many pages of fine-print "disclaimers" and "risk factors" that it seems like a Viagra ad ("call your doctor if ..."). There's a lot in there about well-respected (but at best gullible) ACA, this firm that Goldman claimed was picking the bonds. About half of the 66 slides sing ACA's praises, but there's no mention of Paulson. There are long descriptions of ACA's capabilities, their "internal" and "external data sources," and their "defensive trading" designed to "minimize real market value exposure." Here's where it gets uncomfortable for Geithner and some executives. 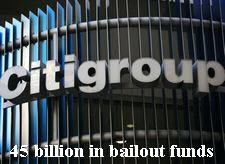 Remember all that criticism of the taxpayer-funded AIG bailout, and how under Tim Geithner's direction (he was running the New York Fed then) AIG paid 100 cents on the dollar to Goldman and other "counterparties" for its debts? 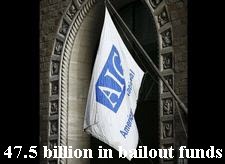 It turns out that AIG insured seven Abacus deals, and the debts they were ordered to pay may have included payoffs on some of these deals. 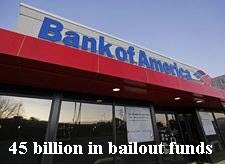 It turns out that AIG reportedly wanted to pay 60 cents on the dollar, but Geither's New York Fed directed them to pay the full amount. How do we hate thee? 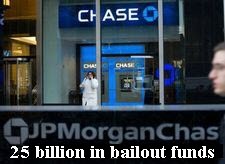 Five of the worst: the banks/financial services firms that brought us to the Brink.